Our desire to grow runs deep. Yet the issues in our lives that we wish would change often stay the same, even with our best efforts to build ourselves up spiritually. What does growth look like--and how can we grow? Unpacking the practical and passionate theology that forms the backbone of their counseling, Drs. Henry Cloud and John Townsend shatter popular misconceptions about how God operates and how growth happens. You'll discover * What the essential processes are that make people grow * How those processes fit into a biblical understanding of spiritual growth and theology * How spiritual growth and real-life issues are one and the same * What the specific tasks and tips are that will help pastors, counselors, and others who assist people in growing--and what your own responsibilities are in your personal growth Shining focused light on the great doctrines and themes of Christianity, How People Grow shows why all personal growth is spiritual growth. Designed for use with How People Grow, the How People Grow Workbook will help you translate biblical principles into a practical path of growth in all the vital areas of your life--your relationship with God, your marriage and family life, your friendships, your sticking points, your personal development, and everything that life is about. Suitable for personal or small group use, this fascinating, hands-on volume is filled with true-life examples, questions for reflection or discussion, "Tips for Growers," and probing insights that can help you experience the kind of change and growth you've longed for--and that Jesus has promised. 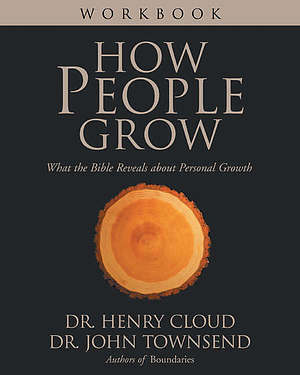 How People Grow Workbook by Henry Cloud;John Townsend was published by Zondervan in August 2002 and is our 9945th best seller. The ISBN for How People Grow Workbook is 9780310245698. Be the first to review How People Grow Workbook! Got a question? No problem! Just click here to ask us about How People Grow Workbook.